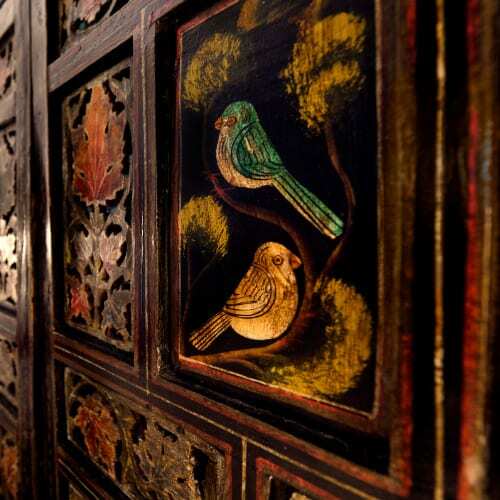 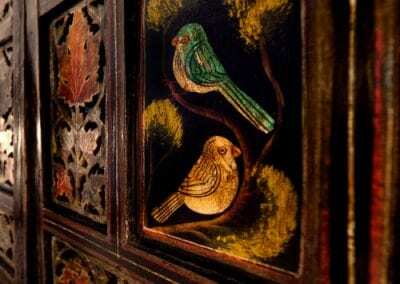 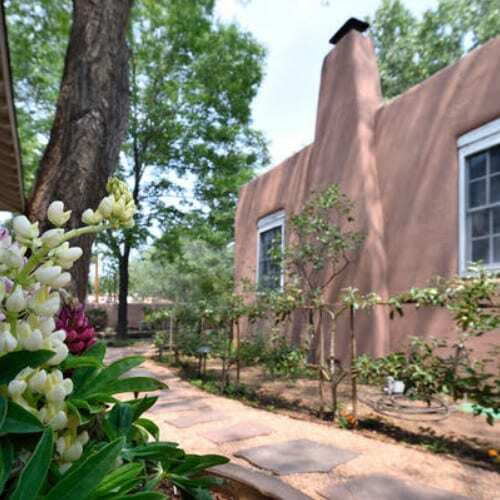 You deserve to stay at the best hotel in Santa Fe. 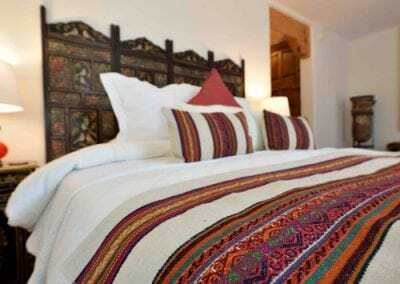 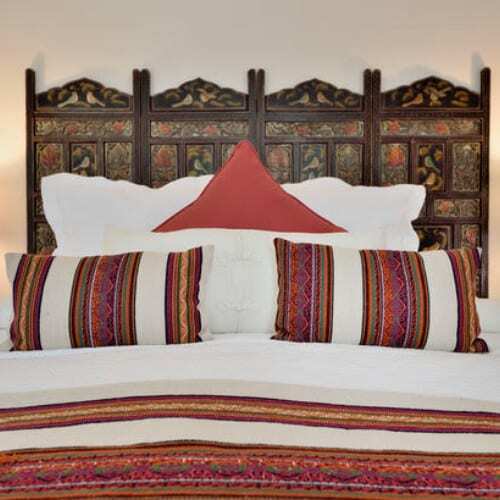 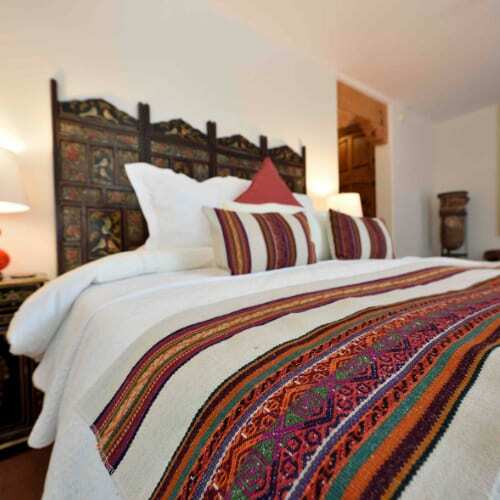 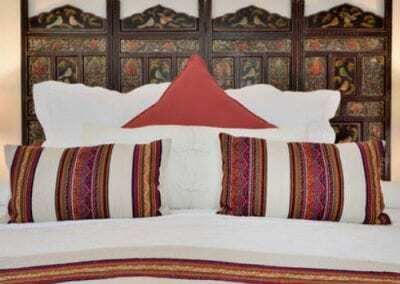 Casa Culinaria -The Gourmet Inn is a boutique with 11 amazing lodging options. 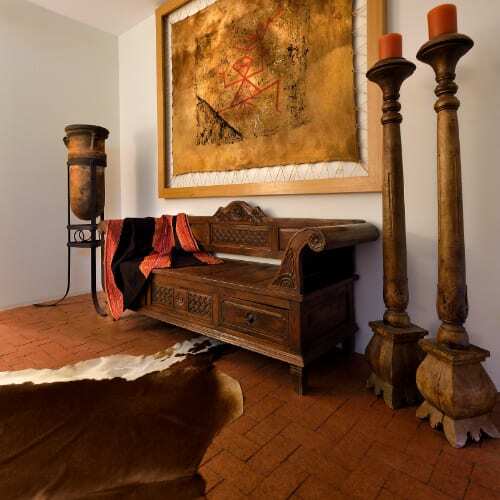 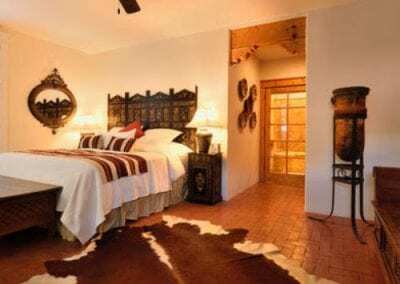 The Kachina Suite is the perfect combination of comfort and style for your romantic Santa Fe getaway. 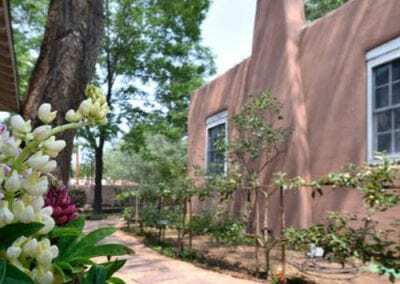 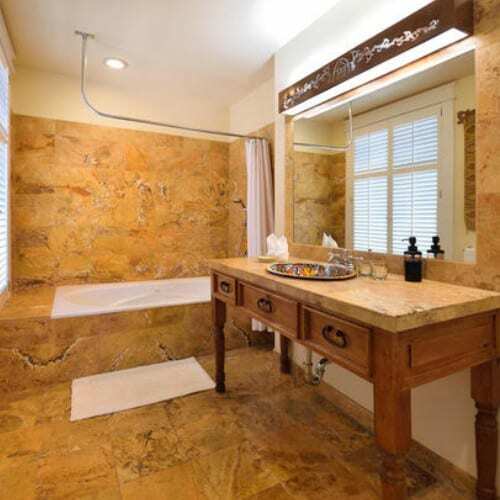 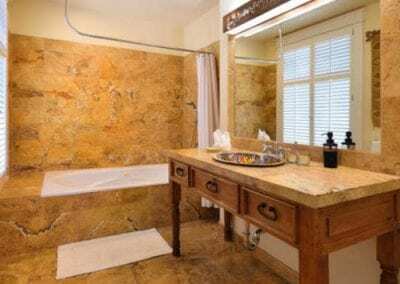 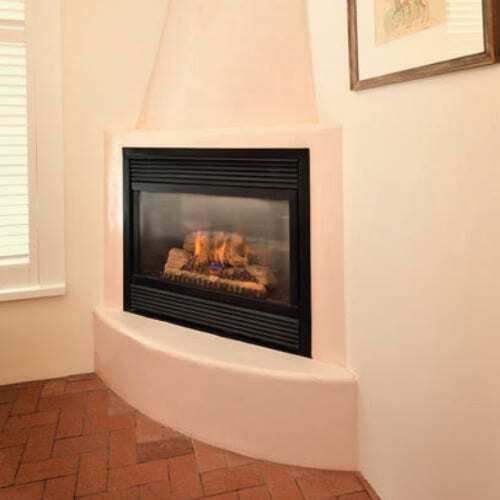 The beautiful limestone bathroom, loveseat sitting area, and private entry patio create an enjoyable experience that combines privacy with all of the amenities needed to enjoy a wonderful time in Santa Fe. 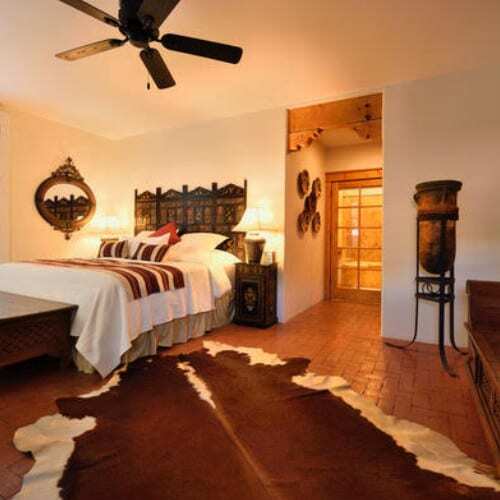 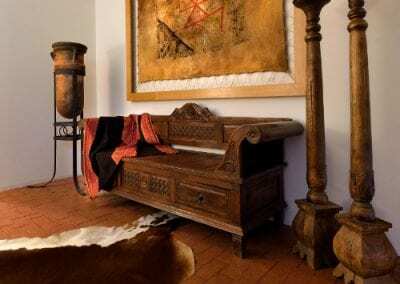 The Kachina Suite includes a Kiva gas fireplace and king-size bed.